Like Tala, Worcester Ware would take the basic shapes of their canisters and tins and would update them with new colours and designs. 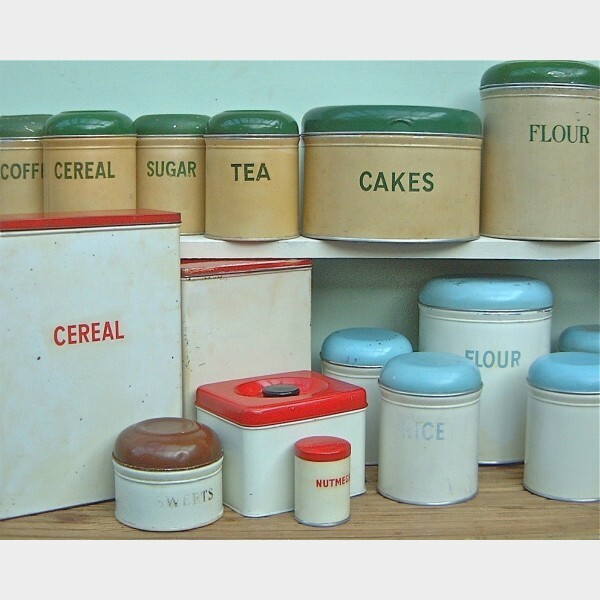 Traditionally their range was cream and green, but during the 1950s they introduced red and white and blue and white in their plain ranges. 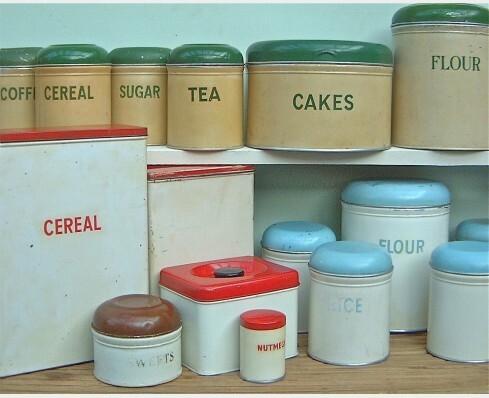 Less imaginative in their offer than Tala, Worcester Ware concentrated on tea, coffee, sugar, cereal, cake and biscuit tins.